The Argentinean province of Jujuy has issued a $210 million green bond which will co-finance a 300 MW solar project selected in the first round of the country’s program for large-scale renewables RenovAr. The Argentinean province of Jujuy has issued a $210 million green bond which is expected to co-finance a 300 MW solar project selected in the first round of the country’s program for large-scale renewables, RenovAr. The $210 million bond that the Argentinean province of Cauchari launched a week ago to co-finance a 300 MW solar project under development in the region has resulted in 3.4 times oversubscription, as it received $744 million in orders for the bond. The bond, which carries an 8.62% interest rate and 5-year maturity, was offered on the NYSE. Unspecified investors from the United States, Brazil, Chile, UK, Germany, Switzerland, Spain, Luxembourg, China, Taiwan and Argentina have offered to buy the bonds, the government of Jujuy said. The net proceeds from the bond issuance will be used to co-finance the 300 MW Cauchari solar project, which is also being financially supported by Chinese state-owned bank Export-Import Bank of China. The 300 MW project, which consists of the three Cauchari solar projects, 1, 2 and 3 with a power of 100 MW each, is being developed by the local government-run company JEMSE SE (Jujuy Energy and Mining State Society). According to a statement issued by the government of Jujuy in September, JEMSE invited corporate links with Chinese companies Power China, Shanghai Electric and Talesun. 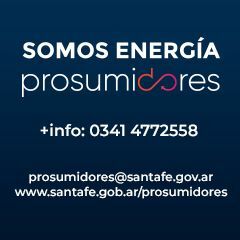 The project will sell power to the country’s wholesale electric market management company Compañía Administradora del Mercado Mayorista Eléctrico (CAMMESA) at a price of $60 per MWh under a 20-year PPA. The facility will be owned 80% by JEMSE and 20% by Power China, Shanghai Electric and Talesun. In mid-June, the Department of Energy of Jujuy announced that the first solar modules deliveries for the projects would be done in September.